1. Sit in a comfortable chair. You will only need to practice this visualization technique for 3 to 5 minutes in the beginning. Once you are comfortable with the technique and know which color you need, you can individualize the color and work with only one at a time. 2. Breathe deeply and evenly, feeling the cleansing power of oxygen permeating your body’s cells as you inhale, and the release of carbon dioxide waste as you exhale. Conscious, deep breathing cleanses the blood and cells of the body. 3. 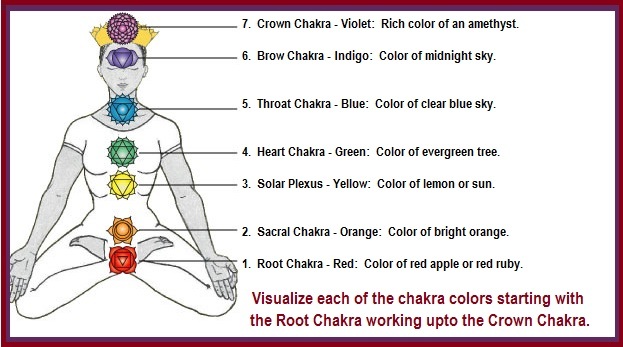 Visualize the Crown Chakra (at the top of your head) and begin to imagine it opening as though it were the lens of a camera. 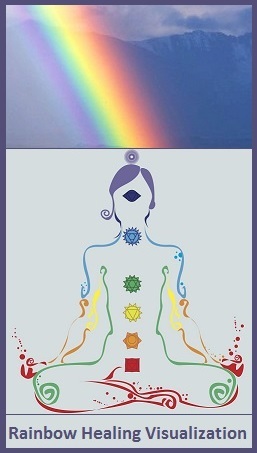 Ask the Universe for all the color rays of rainbow energy to flow down through this chakra. 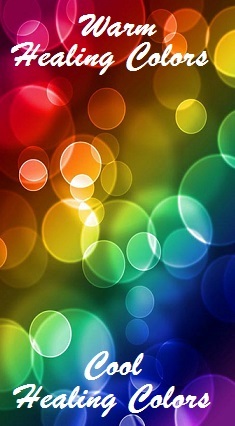 These rainbow colors are the red, orange, yellow, green, rose, blue, indigo, violet, silver, gold, white, and black rays. There is also ultra-red and ultra-violet. 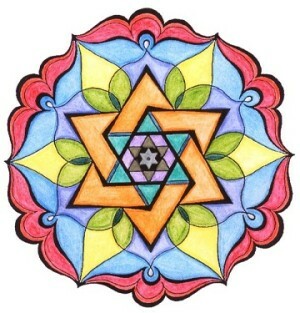 State your intent for healing, then invite the colors to flow from the Universe and go to where each color is needed. 4. Visualize them entering your bloodstream through the arteries and the cells of your entire body. This only takes a few moments to move throughout your body. 5. 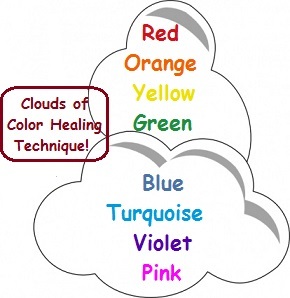 If you have a specific problem you wish to work on, ask for the colors to infuse that particular area of the body. The body listens to every thought you think, so just by stating what you want, it will happen. This thought/body connection is very important to know, because your every negative thought makes negative things occur, and every positive thought you have, takes the body to higher levels of consciousness. 6. When completing this exercise, you will feel more balanced. 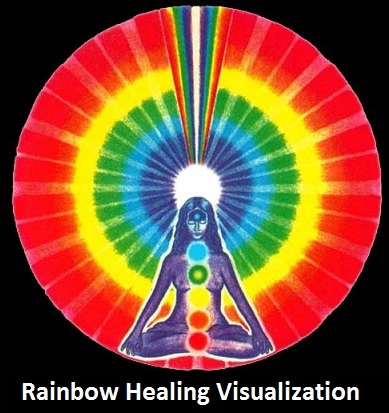 Remember to drink plenty of water and continue practicing color healing visualization. 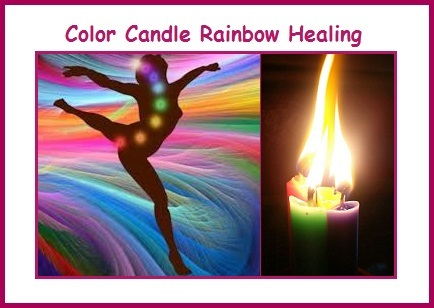 FYI: Today it is widely accepted that healing with color addresses the five functions of the human body – physical, metabolic, emotional, mental and spiritual. 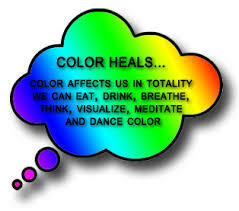 Watch for more on the powers of color therapy in the future. The Mandala (Sanskrit for “circle” or “completion”) has a long history and is recognized for its deep spiritual meaning and representation of wholeness. The circle is a symbol of wholeness, continuity, connection, unity, harmony and the cycle of life. Unlike other shapes, the circle flows and has no hard edges or angles. Circles are believed to help individuals focus inward. 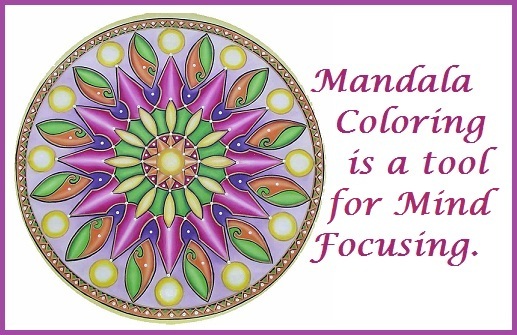 If you are not ready to design an original mandala, internet sites have mandalas ready for coloring as a free copy or download. 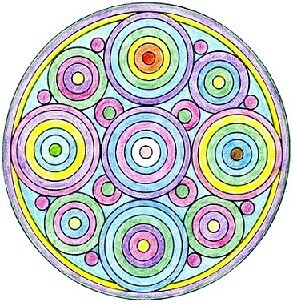 It is always best to select colors intuitively when coloring a mandala. 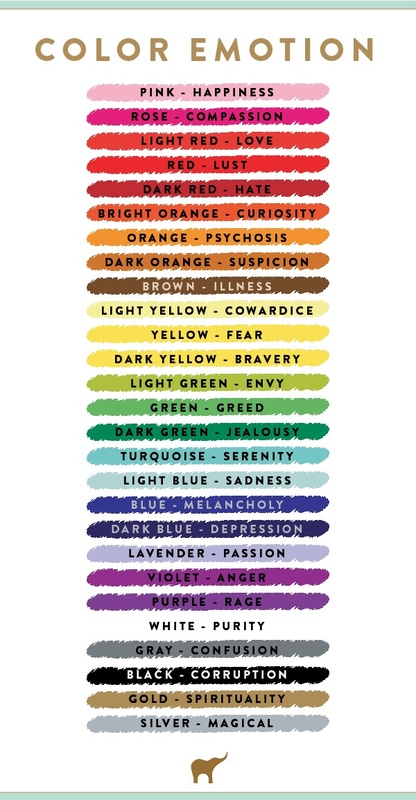 Listed below are colors and their symbolic meanings. 1. Start with the first chakra located at the base of your spine. Visualize spinning this chakra and breathe the color red into this spinning wheel of energy. 2. Move up to the second chakra and spin this wheel while visualizing a bright juicy orange color filling this chakra. 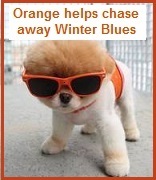 Focus on this orange color and breathe deeply, letting go of any unwanted energy. 3. 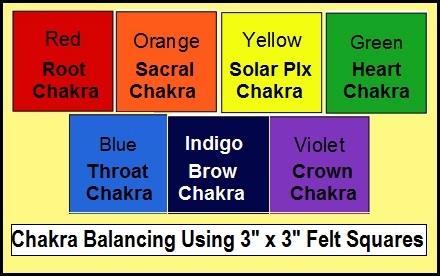 Move to the third chakra; spin yellow lemon light into this area. Let go of any emotional energy that may be blocking this center. Feel this sunny warm yellow light calm and relax you. Bathe the stomach, liver, gallbladder and spleen with this color. 4. Next visualize a brilliant forest green color and spin this color into your heart chakra. Let this color fill you with the energy of unconditional love. Visualize this green light flowing throughout your body, healing and balancing the immune and endocrine systems. 5. When ready move up to the throat chakra and spin a bright blue in this center. Let this blue light remove any fears or misunderstandings. This is the chakra of communication on many different levels. Breathe deeply and bathe your lungs, vocal cords and bronchial tubes with this clear blue light. 6. Move gently upwards and begin to spin your third eye chakra. Visualize a deep indigo color filling this spinning wheel. Become aware of the Divine energy of this chakra. 7. Now move up to the crown chakra and visualize violet light spinning within this center. Feel this light transmute anger into understanding, hate into love and fear into courage. Let compassion and love flow through your body. Allow this energy to heal and nourish you. Visualize yourself resonating in complete alignment. 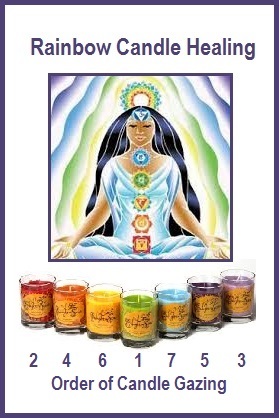 Finish by becoming aware of all your chakra centers. How do they feel? When they feel balanced, visualize white light entering the top of your head and bring this light down through each chakra. Spin it around and shoot it back up through the chakras and out through your crown chakra. Allow this white light to form a bubble of light around your body, surrounding yourself with beautiful protective light throughout the day. Exercise – Color Me What Today? 1. Sit with your eyes closed and visualize your situation. 2. 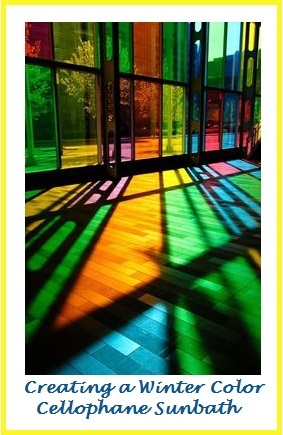 Think of a color that soothes what you are feeling. Don’t worry if it takes a couple different examples, it is important to listen to your body and discover what works best for you. What is today’s color? 3. Take a deep breath and imagine pulling this color throughout your body. When you exhale, imagine the (anxiety, pain, fear, anger) leaving your body. Do this a few times until you to feel a shift in your body and begin to feel better. 4. Imagine a glass filled with liquid in your chosen color and drinking it down. 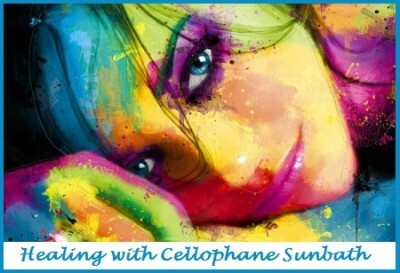 That color is filling up your body…you begin to feel (calm, safe, happy, and any pain minimizing). 5. Continue visualizing your chosen color for 3 – 5 minutes. Thank this color and carry its energy with you for the rest of the day. 6. Remember any color’s energy is available to you whenever it is needed. 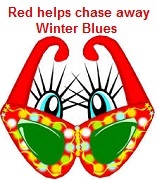 Do you experience WINTER BLUES? 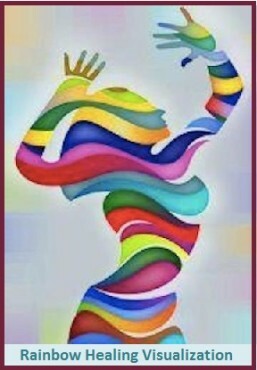 An effective way to change your moody outlook is to brighten up your life with color. 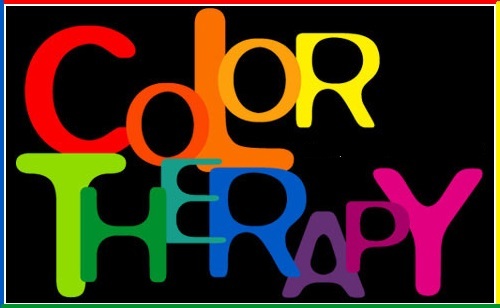 Research has proven how color therapy, or chromo therapy, is a natural way to lift your spirits. 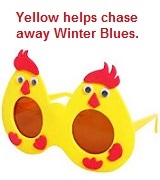 In a Doityourself.com article ‘Go away winter blues’ it states that colors Yellow, Orange, and Red have power to lift the spirit, combat cabin fever and chase away those winter blues. Chase away the WINTER BLUES by introducing these powerful colors in your apparel, food you eat, and your home environment. So hurrah for Yellow, Orange, & Red. 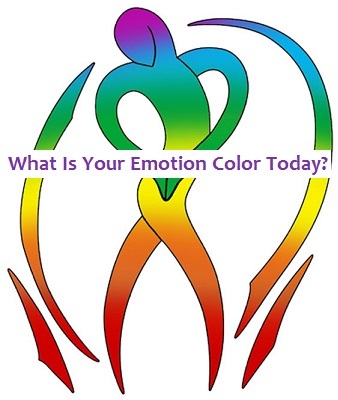 Studies show that the colors a person surrounds themselves with can have an effect on that person’s emotional state. 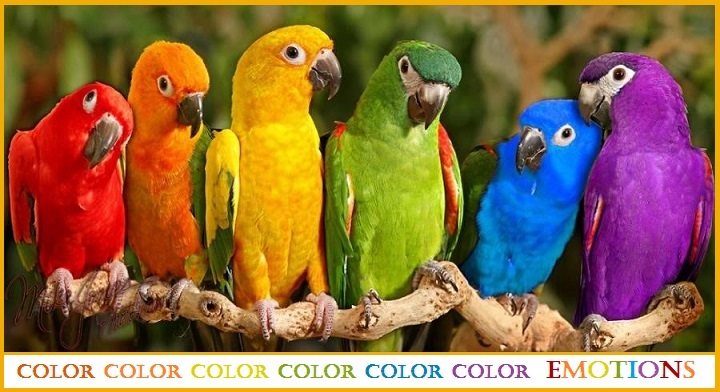 Colors have certain wavelengths, which can be felt and experienced. Emotions have certain wavelengths, which you can also feel and directly experience. We describe certain emotions (seeing red, feeling blue, green with envy), there’s no denying that color and mood are inextricably linked.